Enough of such unwelcome recollections. Eva Furrer, whom I had most recently admired playing the contrabass flute in Beat Furrer’s FAMA last year, this time took the central, or perhaps better most central, midi-flute part, ably partnered by Vera Fischer and Thomas Frey, and indeed by Klangforum Wien and Baldur Brönnimann. There is no room for egotism in music such as this; the ensemble is all. For me – it depends, to a certain extent where one sits – the work began with expectant breathing behind me. Eclat upon éclat followed from the dazzling ensemble. Sounds emerged from all around and, so it seemed, even from within my head. It was a little, even before the event, as if Répons were being born here; in a sense, it was. Our three guides through the labyrinth – or are they the three most beguiling flute-minotaurs, sirens even? – offered up a garden of heavenly delights. (I might as well carry on piling up the metaphors now.) There was so much bubbling beneath and indeed on the surface, that I sometimes felt what I was hearing was Boulez’s response to La Mer; perhaps there are worse ways to think of this music. Or Jeux, perhaps, even a serial Symphonie fantastique at trippy times; a sort of ‘precise wooziness’, verging upon the hallucinatory, suggested itself. The hall’s adjustment of lighting added to the atmospheric difference of purely electronic passages, almost as if the visual equivalent of Messiaen’s grand orgue. An aura of mystery followed, suitably enough. Something had changed, had been transformed; of that we could be sure. The close could be heard as the final trace of fluting Catherine wheels. Any performance of Répons is, by its very nature, an ‘occasion’, at least a much as Stockhausen’s Gruppen, probably more so. I had only heard the one before: strictly two, since, at the 2015 Salzburg Festival, it was given twice, the audience re-seated so as to hear a different work the second time around. 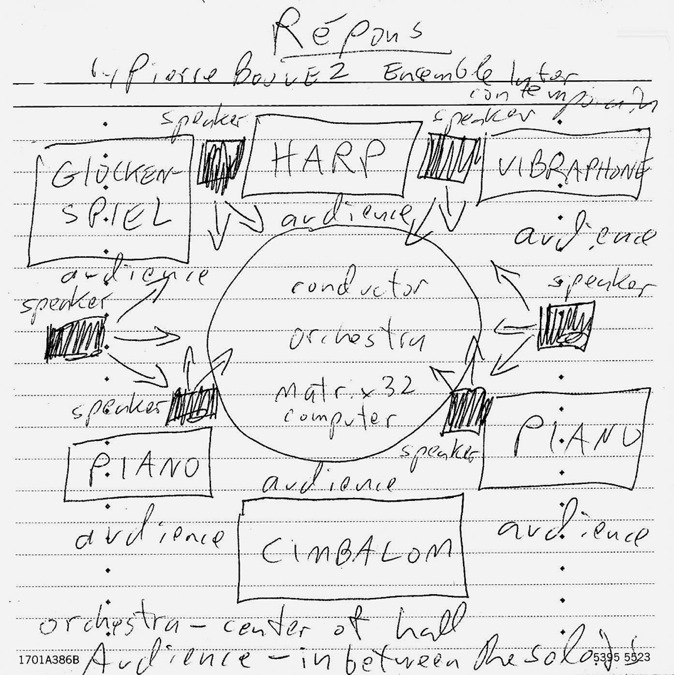 One of Boulez’s concerns, not only in this work, but more generally, was to reinstate – and how triumphantly! – performance. That was most certainly done here, the dizzying virtuosity of all concerned transcendent in a very Lisztian sense. Material, familiar from certain other works, proliferated, I might even say developed, quite differently – whether from those works or from other auditions of this. One needed to listen, of course, for that is performance of a sort too. The magic was such that even Stockhausen would surely have been impressed. Sounds rocketed; musical lines were constructed before our eyes and ears: vertically, horizontally, diagonally. Gallic pianism reinvented itself – as much on the vibraphone and harp as on the pianos themselves. Above all, this music, and music more generally, lived. Perhaps I have Schoenberg too much on my mind at the moment, but I even fancied I heard a ghost or two of one of his waltzes; at any rate, what we heard would never have happened in quite the way it did without him, or Webern, or Debussy, or many others. Nor, of course, would we think quite the way we do about those composers had it not been for Boulez. As the hall, which worked wondrously as an ‘instrument’, fell into darkness, and the music, Jakobsleiter-like, made its way into the ether, one knew that this drama was far from over. Debussy is like Gluck. No, of course he is not; he would have been mortally offended had you told him so. Indeed, Debussy regarded Gluck as having been responsible for killing off Ramellian opera, delivering a lethal injection of Teutonic poison to a flourishing genre. 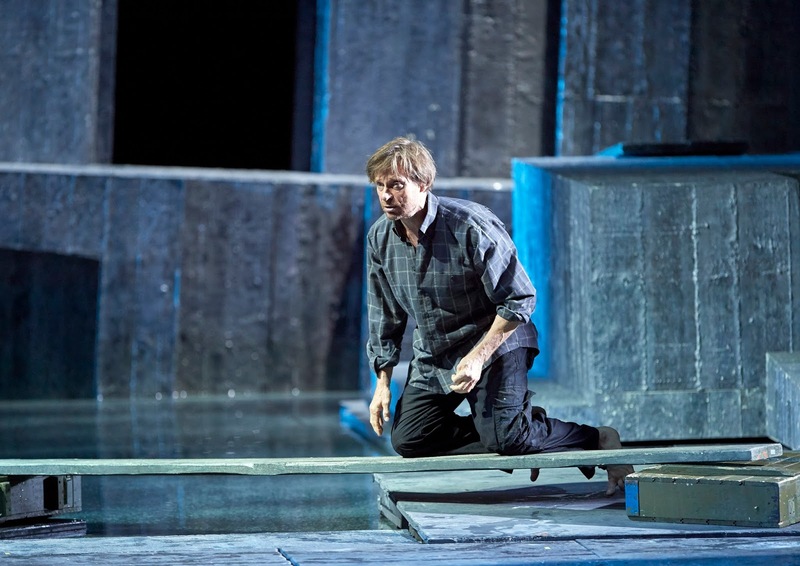 What does not kill you makes you stronger, of course, as Debussy himself would, on a good day, have attested concerning Wagner at least – and certainly in Pelléas et Mélisande. But to return to Debussy and Gluck, their operas do, it seems to me, have something very important in common, or at least their reception does. 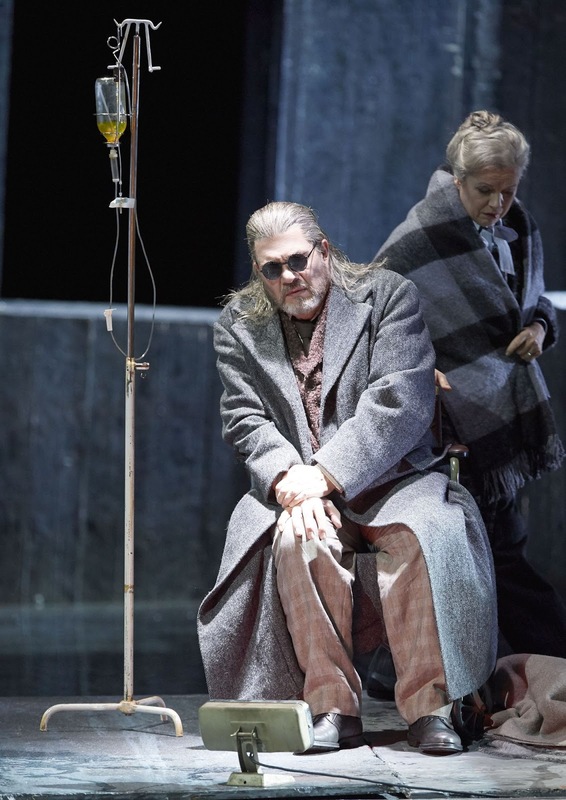 Pelléas and Gluck’s reform operas are esteemed by all those who take opera seriously as drama, and disdained or simply ignored by many for whom opera means something else. Their admittedly very different aesthetics are quite clear, moreover, that playing to the gallery is the last thing in which musical drama should be engaging. True, there are occasional hangovers in Gluck, although they should not be exaggerated, but there is not a single case, not one single case, in Debussy’s sole completed opera. Moreover, what Debussy said, in his article, ‘Pourquoi j’ai écrit Pelléas,’ could be taken, with a little adjustment, for what Gluck in his great reforming works was trying to do (even if, yes, we know the Preface to Alceste was written by his librettist, Calzabigi). Debussy explicitly praised the symbolism of Maeterlinck’s play, which might seem to be – and indeed is – a very different thing, but, ‘despite its dream-like atmosphere’, he was drawn to it because it ‘contains far more humanity than those so-called “real-life documents”. Like Wagner, a mediating influence between the two in certain ways, myth was the thing. And somewhat like Wagner, if not so much like Gluck, Debussy thrived on ‘an evocative language whose sensitivity could be extended into music and into the décor orchestral’. Those of us who love it shake our heads in bafflement at its neglect. Perhaps, though, just perhaps, there is something to be said for every performance remaining a special event – just as with, say, Iphigénie en Tauride. If an opera made it on to the list of works Boulez conducted it is, after all, an unquestionable sign of quality. 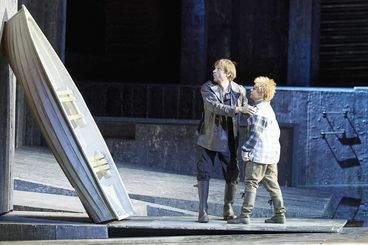 Is, then, this new production from the Vienna State Opera able to live up to such expectations? (I shall pass over less quickly than I probably should a tired and emotional British tourist I overheard during the interval, boasting of having fallen asleep in such a ‘boring’ opera. ‘Can’t they just get it on?’) Musically, yes, and the production did not do too badly either; I have certainly seen much worse. (I shudder to recall the most recent, which is not to say very recent at all, production Covent Garden brought in.) 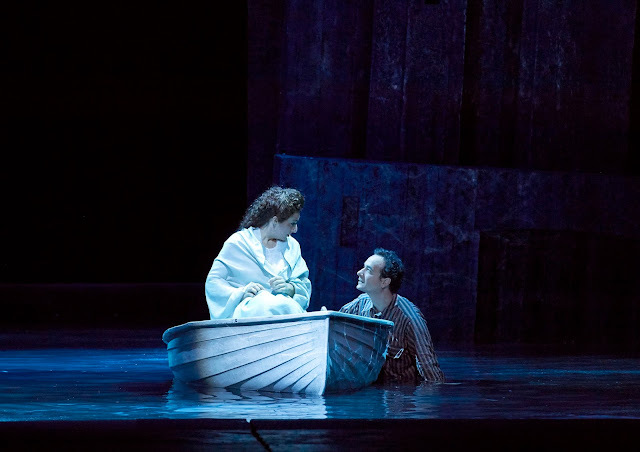 Marco Arturo Marelli’s staging makes an effort, is clearly the result of consideration concerning the drama and what is going on, or what we might think is going on. If I am not entirely convinced that everything coheres, if I think that perhaps a stronger single, even if partial, line might have worked better, there is enough to make one think – and, yes, feel. In what seems to me a relatively bold move, more unusual than you might think, there is a general sense of Ibsen, of bourgeois drama: not just the costumes, but the internalised, familial – and extra-familial – claustrophobia. It is not, perhaps, how one initially thinks of, or feels, the work, but it is an interesting standpoint that certainly has things to tell us. Pelléas’s father is seen on stage, initially in bed, but actually becoming more of a real dramatic character when his illness lifts. When Arkel has Mélisande kiss him, the other old man joins them, and there is something discomfitingly paedophiliac to the whole, strange episode. Whether it quite fits with the rest of what we see and hear is another matter; the attribution of darker desires to Arkel, at least in that particular case, is becoming a little clichéd by now. An important, indeed the important, focal point to much of the action is a boat. Not only do Pelléas and Mélisande go sailing in it, Mélisande lies in it when she sings her extraordinary song; it becomes the ladder Yniold climbs; Golaud hurls it away in jealous anger; and, in the strange ending, Mélisande sails away in it with womenfolk seemingly transformed from servants into spirits. Again, the almost Lohengrin­-like (although not in gender!) conclusion intrigues, and offers an important contrast with the important stage roles played earlier by Golaud’s henchmen, who clearly threaten Pelléas during their walk. But the bright skied conclusion sits a bit oddly, again, with the rest. Is it just death? If so, would it not, especially in this context, be better just to leave it as death? Marelli’s staging is at least having one ask such questions, although I found the 2015 Munich production from Christiane Pohle – universally and, to my mind, quite bafflingly condemned – a stronger, more coherent treatment, hauntingly provocative in its Beckettian inheritance. Perhaps, however, I am wrong, for, in an interesting programme interview, conductor Alain Antinoglu, having acknowledged – and how could one not? – the darkness in the piece, describes the story as a ‘path from darkness to light’. Perhaps. I suppose there is something to be said for that musically, and Altinoglu certainly imparted a Lohengrin-without-the-tragedy sense to the conclusion. More importantly, he judged the ebb and flow, the colours and the shadows, very well indeed. Those raw Wagnerian moments made their Tristanesque and Parsifalian points, not only musically, but the phrases, the paragraphs, and indeed the nature of the musical language quite rightly developed differently too. The playing drawn from the Vienna State Opera Orchestra (the Vienna Philharmonic in all but name) was quite outstanding, colours shifting as imperceptibly as the ebb, the non-ebb, the flow and the non-flow, of the drama – and non-drama. With no disrespect intended to the rest of the cast, a particular cause of interest here lay in Simon Keenlyside’s transition from Pelléas to Golaud. He managed it as expertly as you might imagine – if anything more so. The jealousy, the vulnerability, the flawed masculinity, and the way with both the French language and the specific quality of Debussy’s lines: all were there, as if he had been performing the role all his life. 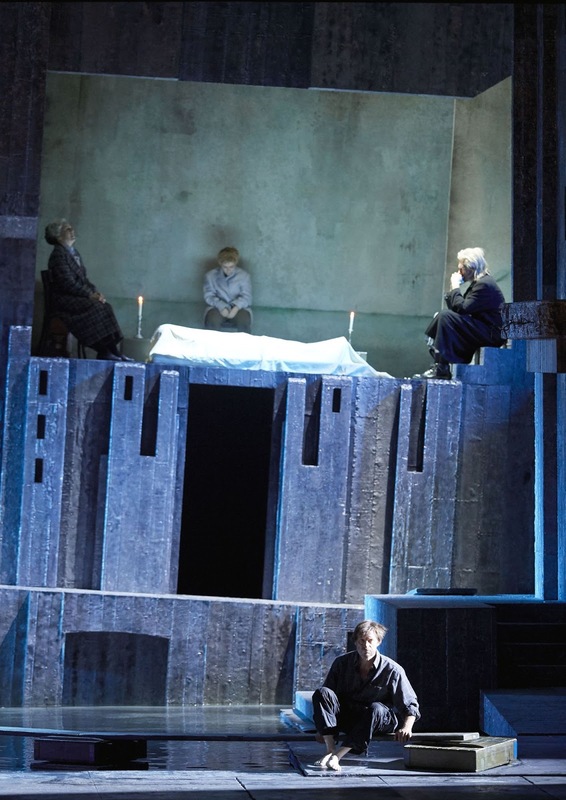 Keenlyside is not one, of course, only to concentrate on his own part, so in a sense one might argue that earlier performances had helped prepare him, but this was a splendid achievement by any standards. Adrian Eröd made for a well-contrasted Pelléas: again, clearly flawed, but more mysteriously so. As with all of the cast, the style of vocal delivery was spot on: doubtless testament both to individual artistry and to Altinoglu’s overall control. As Mélisande, Olga Bezsmertna judged the fine balance between wide-eyed ingénue and the merely annoying with great skill, the competing demands of character development and character stasis equally well balanced. I am not sure that I had heard Franz-Josef Selig in French repertoire before; his wise humanity shone through just as clearly, if, appropriately, with a different touch of ambiguity, as if he had been singing Gurnemanz or Sarastro. I often tend to forget how small the role of Geneviève actually is, so important is she to the drama. Bernarda Fink nevertheless shone, in the most un-showy of ways. My preference for a treble Yniold is not ideological, and in practice, it can go horribly wrong. Nevertheless, I find, on stage, a woman impersonating a child like this a bit odd (especially when I have known it done otherwise). Yniold here had a considerably greater, more peculiar role than usual: hyperactive, damaged, and very interestingly, consoling Golaud at the close and preventing him from taking his life. Maria Nazarova did an excellent job at all of that. This is no criticism of her performance as such, but I wish I had not been made to think of Janette Krankie. On paper, this was perhaps a rather strange programme; I am not sure it quite added up in practice either. Yet, with such fine performances of three individual works, I am not sure that that mattered too much really. To hear the Vienna Philharmonic under a conductor it loves – and it clearly loves Mariss Jansons – in the Musikverein is always something special; and so it was here. Dvořak’s Eighth Symphony has some lovely music, although, like the programme as a whole, it is difficult to discern ultimate coherence in it. The problem, at least for me, lies in the outer two movements, especially the finale. Jansons and his players gave as fine a performance as I have heard, whether in the concert hall or on record, and if they could not turn it into something that it is not, that is hardly their fault. The opening of the first movement sounded almost as if it were an introduction to just how good an orchestra can sound: dark lower strings, magical woodwind, golden violins, and eventually mellow brass too combining with the fabled acoustic of the hall (and its visual aspect too) to create something such as those who have never been here will never know. There was craft, indeed art, in Jansons’s construction of the exposition from what might otherwise seem rather disparate elements. The movement as a whole winningly suggested the world of the operatic overture: perhaps not so bad a way to think of music that does not always bear close formal scrutiny. The Adagio immediately took us into a different world, more profound, more meaningful; it was as if we were entering a dark Bohemian forest, which, as one’s eyes – or ears – adjusted revealed itself to be full of a myriad of colours one might never initially have expected. The forest came to life around or in front of us, sonorities and harmonies seemingly revealing themselves rather than being revealed. Again, that takes performing mastery to do so. The tempo to the third movement sounded just ‘right’, not only in itself, but in the way it appeared to enable all other aspects of the music, its rhythmic lilt, its melodies, its harmonies, to come to life. Jansons left us in no doubt concerning both its structure and its dynamic form. As for the finale, the playing was magnificent, and the audience clearly loved it. Perhaps I am missing something. I doubt that anyone, by contrast, would question Strauss’s absolute mastery of the tone poem in Tod und Verklärung – even those who uncomprehendingly decry works such as his Alpine Symphony. (The loss is entirely theirs.) I must admit that I rarely think overtly of the programme, or at least of its potential detail, when hearing this work; on this occasion, however, I did, entirely without sacrifice to the experience of the whole. Jansons shaped the latter so surely, so ‘naturally’ – which, again, disguises a great deal of art – that the flicker of a heartbeat there, the potential song of a ‘soul (how ironic, given Strauss’s materialism) there acquired just enough prominence of their own. Even as music that was at least Tristan-esque was sung, one heard the difference, the strangely Nietzschean liberation from thoughts of redemption. (Wagner, Mahler, or, yes, Schoenberg would doubtless ensnare us again, as soon as we heard their music, but that is another story.) A slight pause – a comma, if you will – might attract attention, but never in a self-regarding way. To make the narrative, musical or otherwise, reveal itself in this way is no mean achievement. Orchestral balances were well-nigh perfect, so much so that one did not recognise them as such, hearing only the music – and, of course, the Vienna Philharmonic playing it to the manner born. Likewise, the unforced nature of climaxes proved an object lesson in Strauss performance. Strauss and Stravinsky always make for interesting comparison and contrast. Just when one thinks they might have something in common, experience proves one wrong once again. Hearing the 1919 Firebird Suite in this context, one naturally latched on to an occasional melodic tag here, even an orchestral colour, that might suggest similarity, only to be shown that the two composers, and the two works, come from very different worlds. Such was the case despite their respective debts to Wagner, freely acknowledged in Strauss’s case, far less so in Stravinsky’s, even via Rimsky-Korsakov. The opening bars, dark, yet, like Strauss’s, never quite inchoate, were but the first case in point. Full, golden orchestral tone meant something different here, and rightly so; an almost Gallic transparency was also most welcome. Not that that was accomplished with any loss to precision. The Infernal Dance would have woken any slumbering audience member: not through excessive volume, but through musical urgency alone. Even to hear the tone of the bells was a thing of wonder. I rarely long to hear the entire ballet; on this occasion, I should happily have heard it as an additional item to the programme. Iris ter Schiphorst – Make him talk! This was perhaps the most ambitious instalment yet – of those I have heard, of course – in the Vienna Konzerthaus’s tribute to Pierre Boulez: a performance of Le Marteau sans maître, still, perhaps, his most instantly recognisable, celebrated work, interspersed with eight newly commissioned miniatures from eight different composers. The new music ensemble, PHACE, conducted by Simeon Pironokoff, joined by contralto, Isabel Pfefferkorn, did an extraordinary job here, jointly commissioning the new pieces too, with the Konzerthaus. Wisely the viola parts were split: Ivana Pristašová playing the ferociously difficult, verging-on-impossible part from Le Marteau, Rafał Zalech the others. Perhaps it was partly the studio-like environment of the Konzerthaus’s Berio-Saal, underground like IRCAM, yet not very much like it, but there seemed, at least in the beginning, to be something of the old Boulez ferocity, even semi-pointillism, to the performance. It was certainly – a favourite word of Boulez himself – a less Romantic performance in character than he would have tended to give towards the end of his life. Ivan Fedele’s Drive came first of the new works, its three short sections (I have seen no programme notes, let alone scores, so my solecisms will likely be many!) suggesting to me a branching out, even a proliferation, from one another, the two instruments, vibraphone and piano, shadowing, enveloping, one another, then again accomplishing something quite different. Exploration of the relationship between the two seemed to be the thing. The first ‘commentaire’ on ‘Bourreaux de solitude’, itself of course still to be heard, offered a keen sense of a perhaps surprisingly soft-spoken mechanism getting into gear. Gerhard E. Winkler’s Boulez-Samba (! ), perhaps a nod to the composer’s 1950 visit to Brazil, seemed to take off initially from that music, before going its own way, layers overlapping in a colouristic swirl that did not quite, for me, evade questions of easy colonialism, as Le Marteau does. Perhaps, though, I was missing the point; there was a huge amount to take in throughout the evening. Alto flute, followed by that unforgettable opening vocal melismata – what richness of voice from Pfefferkorn! – in ‘L’Artisanat furieux’ came like a breath of fresh air, that vocal air increasingly warm, yet never humid. Alessandro Baticci’s arresting combination of electric guitar, floor tom, and double bass, made me keen to hear more from a composer entirely new to me. It was not just the combination, but the variety of sonorities, far from all expected, he drew from them. Following the second ‘commentaire’, Alexandra Karastoyanova-Hermentin’s piece brought viola fury of a very different nature from Boulez’s, yet equally impressive. As the ice and fire of Boulez’s inspiration continued to penetrate as only they can, return to his music often offering a sense of ‘back to the real business’, I found some of the other contributions a little hit-or-miss. Perhaps, though, that was down to me. It was nice to hear Boulez’s own voice sampled in Iris ter Schiphorst’s Make him talk! and there was, I think, a real sense of that voice becoming part of the ensemble. Hermut Oehring’s MARTEAU, though, took a while to pass through its hand movement-silence-shouting phases, and Eva Reiter’s Masque de fer, intriguing though some aspects may have been, seemed rather music-theatre gestural in this particular company. It was a relief to near conclusion with Luca Francesconi’s exquisitely finished Sans: winding down, or opening out? Both, probably, those sentiments intensified in the final movement of Le Marteau. Boulez’s music, quite rightly, was still the thing. This was a fascinating concert. I did not always like, or even agree with, what Christian Thielemann did with the two Brahms works on the programme. It was not only what seemed – although how much is this a matter of knowing things one cannot, alas, un-know? – to be disturbing ideological assumptions underlying the reading, but also a matter of what sometimes came across as self-regard, to be seen as well as heard. On the other hand, the Vienna Philharmonic was very much at its best, clearly relishing the relationship it has with this conductor as much as he does. And, whatever one might think or feel about the results, there is no denying that Thielemann has a point of view, which he is able to communicate, almost playing the orchestra as if it were a keyboard; this stood far away indeed from the blandness of much ‘international music-making’. The febrile urgency of the orchestral sound (Klang is perhaps better here) at the opening of the Academic Festival Overture was something I had not necessarily expected. Moreover, as Brahms’s invention gathered pace, one heard roots in Beethoven, in German Romantic predecessors such as Mendelssohn and Schumann; tradition seemed to live. At times, indeed, the sound seemed close to what one might have heard from Furtwängler, albeit more often with an edge, even a brutality, perhaps more characteristic of Karajan. Thielemann proved more theatrical than both, however, for this was, if you can imagine such a thing, often a darkly, Wagnerian performance, culminating in the world, so it seemed, of Hans Sachs’s final peroration. There was something daemonic to it, quite unlike anything I had heard before: certainly not bland. Dieter Flury, principal flautist with the orchestra, was the soloist for Jörg Widmann’s Flûte en suite. (Widmann’s present ubiquity seems quite extraordinary. I do not ask this in a hostile fashion at all, but wonder to what it is owed.) Marked as having been written ‘für Flöte und Orchestergruppen’, that is very much what one hears: movements to a greater or lesser extent inspired by the Baroque Suite present the solo instrument with a particular instrumental/orchestral group. Written for Joshua Smith and the Cleveland Orchestra, during Widmann’s residency with that orchestra, it certainly received a committed performance here from all concerned. Thielemann, when he conducts modernist music, broadly construed, is often at his very best. Indeed, he managed to coax the Vienna Philharmonic into playing as if it were enjoying itself; perhaps it was. The first movement, an Allemande, opens with a slow solo, seemingly full of promise, uncertain quite where it might lead. Joined by other members of its family – alto, bass, and finally piccolo – its lines perhaps retain something of a Brahms-Schoenberg tendency, not so much in style as in idea. The chamber opening of the Sarabande is more strongly suggestive of the Baroque, likewise its strong sense of dance character; its solo line, in typical Widmann style, seems to play with misremembered – or never-quite-having-existed – Bach. A more pointillistic backdrop, this time from brass, characterised the third movement, ‘Choral I’, the fifth, ‘Choral II’ sounding much more overtly chorale-like. The latter chorale is darker in tone, mysterious, uncannily childish woodwind and percussion (Prokofiev perhaps, or Shostakovich) reacting in some sense against it, the flute mediating, even commentating. In between, a more refracted (Berio? ), more referential Courante, with ‘busy’ pizzicato strings offered undeniable contrast. The sixth movement, marked ‘Venezianisches Gondellied (Barcarole)’, perhaps intrigued me the most. As if a response to Henze’s mediation between things German and Italian, rhythm and melody speak of the latter, a darker forest landscape of the former, without the demarcation ever being quite so straightforward. A cadenza, not entirely unaccompanied, followed, Flury’s expressive way with the melodic line as impressive as his technique. I was less sure about the final ‘Badinerie’, which seemed to me to try a bit too hard to be ‘fun’. ‘Contemporary’ – to us – Bach, very fast and ‘light’, with perhaps again a hint of Berio, veers down other allies, moves into other keys, but seems to rely too much upon its basis in that particular Bach Suite. Widmann’s homages are more persuasive, at least to me, when they suggest, when they misremember. Thielemann’s way with Brahms’s Fourth Symphony once again persistently surprised, the VPO’s excellence of playing a welcome constant throughout. Its Klang was very much that of the Overture, with perhaps a still greater translucency enhancing its ‘traditional’, perhaps more North German than conventionally Viennese, darkness. Thielemann’s insistence on moulding the score will not have been to all tastes; yet, even when exaggerated, as sometimes it was, it never sounded merely arbitrary, as it does, say, in the Brahms of Simon Rattle. Again, it was a Lisztian, Wagnerian sensibility and method that came to mind in the first movement: transformative rather than straightforwardly motivic. I loved the stark sense of difference at the beginning of development; suspense was as palpable as I can recall. What I missed – and one cannot, perhaps, have it all in any one performance – is the sense of where this music would lead, of it being but a stone’s throw from Schoenberg and Webern. The stately processional opening of the second movement emphasised its roots in its counterpart in Beethoven’s Seventh Symphony. Thielemann built it into something sonically overwhelming, but is that quite the point? Whatever the answer to that, there was some exquisite inner voicing, not least from the violas. The scherzo was fast and not a little brutal, yet far from lacking in lighter moments. In the great, concluding passacaglia, I longed for a little more Klemperer-like inevitability. However incandescent the playing, the variations often sounded a little too characterised, a little too unconnected. Was the wood sometimes missed for the trees? At least, however, it made me think. Pierre Boulez’s relationship to Elliott Carter and to the music of the greatest of all American composers (so far) ran long and deep. I was fortunate enough to attend the centenary concert Boulez gave with the Ensemble Intercontemporain in London on Carter’s actual hundredth birthday – when he was, celebratedly, still composing. As part of the Vienna Konzerthaus’s Boulez festival, then, Carter was an obvious companion composer to Boulez. Whether, in practice, this combination worked as well as I had hoped, I am not sure, but that may actually more be a reflection of my having come entirely fresh to the two Carter pieces on the programme (Triple Duo in particular surely requiring more than a single listening). At any rate, these performances from oenm, Triple Duo and Dérive 2 conducted by Johannes Kalitzke, gave impressive accounts of the music. Dérive 1 opened the programme, its raw(ish)material by now – given its use in various other pieces – quite familiar to me, yet nevertheless engendering an air of fantasy, of expectation, of play that is ever surprising. Shifting balances caught the ear: not quite Klangfarbenmelodie, but perhaps not quite not either. The exquisite finish of work and performance suggested something aquatic, certainly not marmoreal. Nora Skuta’s excellent pianism reminded me that, when we consider Boulez’s piano writing, we need to think of works such as this too, not just the works for piano(s) alone. I found myself especially intrigued by the similarities between and, still more, the differences from, that and the equally fine vibraphone playing (Arabella Hirner). Even here, let alone in Dérive 2, process was very much fundamental to the experience. Katharina Teufel’s performance of Carter’s Bariolage, for solo harp, seemed to delight in confounding lazy assumptions – which somehow remain, even when one thinks one has banished them – concerning the instrument: not through extended techniques, not through Lachenmann-style deconstruction, but somehow just by writing and making music that is personal. One could make – and I think I did – connections with its Boulez predecessor concerning fantasy and temporality. Difference manifested itself at least as strongly, though, not least in more overt virtuosity. It felt a little as if one were being taken for a walk in an urban garden: ‘urban’, in the sense of urban modernity, a garden of steel and sky, of glass and sunlight, planned and yet free. Time seemed almost literally to fly: it was over almost before it had begun. In Triple Duo, the instruments (flue/piccolo, clarinets, percussion, piano, violin, cello) seemed to announce themselves as if they were music-theatre characters, children of The Solider’s Tale. Twists and turns in the ‘plot’ were constantly surprising, even if I did not quite always follow. (As I said, I really need to hear the piece again.) They were hard to reconcile, sometimes, but perhaps that is the point. I was certainly made to think, integrative and disintegrative processes enabling, even compelling, one to do so. I sometimes thought of proliferation, not quite like Boulez’s later work, perhaps in a sense closer to the conjuring tricks of Haydn. Reinvention, rehearing seemed important, at least to my experience – and I think to the work as a whole, which unfolded dramatically, as if in a sequence of scenes. The premiere was given in 1983, by The Fires of London, successors to the Pierrot Players: a nice programming touch to learn of, if only retrospectively. This was doubtless in part illusion, even delusion; yet, in context, Dérive 2 semeed to perform an integrative and yet centrifugal function with respect to many of the musical tendencies heard in the first half. I also felt in this performance a strange, far from unwelcome, sense of Boulez’s early Artaudian frenzy classicised – which, thinking about it, is probably not so very far from the mark, whatever the detractors of his later music might claim. (‘Culinary’ is one description I have heard.) I picked up, this time, on certain Stravinskian colours (combinations of instruments, even melodic cells), coming to the surface, yet what was especially striking, certain kinship or procedure with Ligeti and Carter notwithstanding, was just how unlike any other music this began to sound. Indeed, I was especially struck by how unlike my recollections of previous performances it sounded too. It was catchy, almost balletic (imagine what Béjart might have done here! ), serial processes bobbing above that beguiling surface, swiftly submerged once again. La Mer did not seem so very far away, at times, and Triple Duo seemed, by comparison, just a little dry, even contrived. That transformative tendency in Boulez’s music, with deep roots in the Second Viennese School, even perhaps in Liszt and Wagner, reasserted, refreshed itself – or at least it did for me. What a wonderful surprise! It was not that I had not expected something good; I should hardly have dragged myself to another Beethoven Violin Concerto if not, still less to a performance of a symphony about which I felt decidedly ambivalent (if not nearly so hostile as many seem to). Frank Peter Zimmermann had given, with Bernard Haitink and the LSO, what had been probably the best performance I had ever heard in concert. Moreover, Jakob Hrůša had impressed me last year in Glyndebourne’s Cunning Little Vixen, and I had heard good things about him from others too. Nevertheless, to hear a performance that exceeded my memories of the Haitink, not least on account of a truly astonishing contribution from the Vienna Symphony Orchestra, and an account of Franck’s D minor Symphony that had me wondering, at least until the finale, whether all my doubts concerning the work had been misplaced, came as significantly more than I might dared have hope. The first movement of the Beethoven was taken swiftly, but never harried (not unlike, indeed, Zimmermann’s performance with Haitink, so I presume this must be his concept). What struck me immediately was the cultivated sound Hrůša drew from the VSO; I really do not think I am merely lapsing into some sort of ‘national’ stereotype when I say that the sound reminded me of the Czech Philharmonic in its heyday, or indeed one of Rafael Kubelík’s bands. There was something Bohemian, to be sure, about the character of the orchestral playing, at least as I heard it; it was certainly not sweetly Viennese, to resort to another caricature. The other striking, indeed surprising, thing about the opening ritornello was Zimmermann’s playing along for parts of it; I am not quite sure why, but it did not detract from his official entry, since one never heard him individually. When that did come, his playing offered a combination of the best of ‘old school’ tone with a variegation that one does not always, rightly or wrongly, associate with some of those hallowed performances of old. A simple – or not so simple – scale could encompass great musical variety, with the emphasis on ‘musical’; this was not variety, nor was it difference, for the sake of it. And all the time, Hrůša emphasised, subtly yet unquestionably, the dynamic process of Beethoven’s motivic working, its generative quality. Woodland woodwind sounded heartbreakingly beautiful; one could almost see Beethoven on one of his countryside walks, hear what he heard, transmuted into gold. Zimmermann’s cadenza did more or less what one would have expected it to do, if not quite always in the way one would have expected: different again, then, without that difference being for its own sake. A coda as autumnal as Brahms offered one brief, final blaze; as so often, at the close, Beethoven says just enough, no more than that. The slow movement proved the most tender of songs, with multiple soloists, the VSO wind singing with just as great distinction as Zimmermann, bassoon and horns as ravishingly beautiful as any of those instruments more accustomed to the soloistic limelight. If anything, I think these instrumentalists incited Zimmermann to still greater heights. ‘Rapt’ is doubtless a word overused, not least by me, but it seems apt, as it were, here. 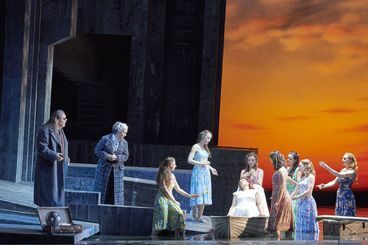 A masterly transition to the finale was Zimmermann’s doing, of course, but the broader character of the finale was again as much Hrůša’s and the orchestra’s doing as Zimmermann’s. Impish, exhilarating playing had one’s ears on tenterhooks, in the best way. Once again, Hrůša’s subtle yet sure tracing of Beethoven’s motivic dynamism provided the basis for everything else that ensued. The Allegretto was inexorable, yes, but charming too, with a wealth of orchestral colour that had me think several times of Berlioz. I was able by now simply to sit back and enjoy, quite convinced that any previous fault had lain with me, not with the work. If I still did not feel that the finale quite came off, it came closer than I could recall, uniting tendencies, not just material, from both previous movements. It wore its workings on its sleeve, of course, but does not Berg’s music, or Stravinsky’s, for that matter, too? There was much, then, for me to think about after the event, even more for me to relish in the moment. This was, in summary, a quite outstanding concert. My present visit to Vienna helpfully – and quite unwittingly, at least at the version of initial planning – takes in the second half, roughly speaking, of the 38th International Musical Festival of the Wiener Konzerthausgesellschaft. A good number of the concerts I shall review here will be part of that festival; and a good number of those will feature music by one of the Konzerthaus’s Honorary Members, the late Pierre Boulez. This concert from Emmanuel Pahud, the ORF Vienna Radio Symphony Orchestra, and Baldur Brönnimann most certainly did, although I was not entirely convinced that the Boulez pieces themselves were the performative highlights. Not, I hasten to add, that they were not good performances. Perhaps that is actually in itself, ironically, an encouraging sign, for the incorporation of Boulez’s music into the core repertoire now seems unstoppable. We hear these works much more often, nowadays; many more musicians perform them; we grow used to finer discrimination between performances, just as we are used to exercising when it comes to Beethoven or Brahms. It was noteworthy that our fascistic friend did not react similarly to the Ibert Flute Concerto which, somewhat oddly, followed. I should never dream of booing any performance and look very dimly on those who do, but for me, at least, the excellence of the performances notwithstanding, it was a bit of a trial, a slight piece of note-spinning that overstayed its welcome. There was no gainsaying Pahud’s virtuosity, nor indeed that of the rest of the orchestra, the leader included (her slow movement solos ravishingly played). Pahud’s range of articulation and dynamic range proved equally impressive, and he came as close to winning me over to this music as I imagine anyone could. Oh well, no one responds equally well to everything. Matthias Pintscher’s Osiris, on the other hand, proved something of a revelation. It was premiered by Boulez in Chicago in 2008, but the kinship seemed to run deeper than that: kinship, I stress, certainly no mere imitation. Fantastical arabesques – again, truly exquisite high string writing – seemed to come into contact with, be changed by, and in turn transform, a more Germanic post-expressionist sound world: not so overt as, say, in Wolfgang Rihm or Jörg Widmann, perhaps all the more intriguing for its relative distance and its mediation of competing tendencies. It sounded, with the strong narrative pull of the work, as if this were a somewhat unexpected (that is, to say, not merely neo-Romantic) rapprochement with the tone poem. A Schoenbergian wind, as if from planet Gurrelieder, blew through the score at one point, the message seemingly more metaphysical than material. A trumpet solo, wonderfully played, sang and dazzled as if it represented a ‘character’; perhaps it did. Splendidly stereophonic tuned percussion playing inevitably recalled Boulez. This, I am sure, is music that needs rehearing; I look forward to doing so. Finally, with La Mer, we heard an undisputed repertoire classic, one not only strongly associated with Boulez, but one performed at the 1958 premiere of Doubles, as it then was. I found Brönnimann’s reading, and the ORF SO’s performance thereof, utterly compelling: fresh, neither hidebound to tradition nor novel for the sake of it. ‘De l’aube à midi sur la mer’ veritably teemed with life – and, like the sea, the more so the more carefully one looked (or listened). A strong sense of quasi-symphonic line prepared us well for the great climax of midday. The fantastical scherzo of ‘Jeux de vagues’ offered obvious connections with Boulez’s own music, yet spoke very much for itself too. Phrases were finely turned, yet never narcissistically so. It was impossible to ignore, though – and why would one try? – the seductive colours from the strings; silver, gold, all manner of shades in between and beyond. Now, in a reversal of the stakes in Mémoriale, it was wind that offered the shadow; until, of course, Debussy turned the tables time and time again so as to make a nonsense of such pedantry. There was, quite rightly, much that remained ineffable, not to be grasped. The wind that blew in ‘Dialogue du vent et de la mer’ was a stormy one. Balances again shifted before our ears; so much comes to us from Debussy, as Boulez would have been the first to admit. Wagner, too, seemed to hover behind the score – as indeed, with the exception of the Ibert, he had all evening. But he hovered, flickered; all remained fruitfully uncertain, even the final climax. Boulez would surely have nodded in agreement.